a grasp of their anatomy and construction. Handles are commonly comprised of various hard woods depending on where they are manufactured and are proportioned to balance in your hand, offering greater control. Layers of varnish and paint are applied to protect the wood from swelling. Hair is positioned within the ferrule to offer the desired responsiveness without going limp. As much as twenty-five percent of the hair falls within the ferrule or is trimmed at the back end to allow secure fastening of the handle. The hair is thoroughly glued to the ferrule which seals the brush and ferrule to avoid shedding of the hair and prevent the seepage of water or medium into the brush. In addition, the ferrule is often crimped to ensure its hold on the handle. 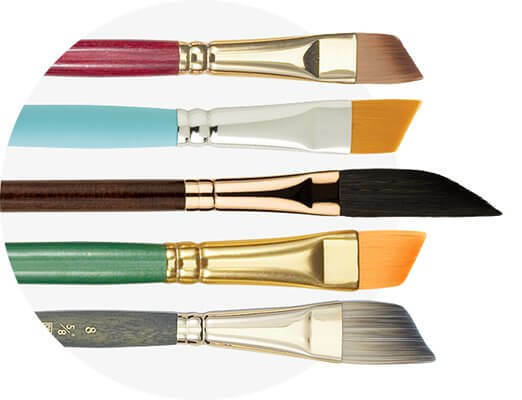 A brush series is usually labeled with a name and series number such as Heritage™ Series 4050. When our brush series number ends in a 50, such as Heritage™ Series 4050, it is a short handle brush. When a brush series ends in 00, such as the Imperial™ 6600, it indicates a long handle brush. Brush sizes vary by manufacturer and may be labeled based on the width of the hair, such as a ¼” angle or a general size, such as a #6 round. Using an appropriately sized brush head will save painting time and premature wear. 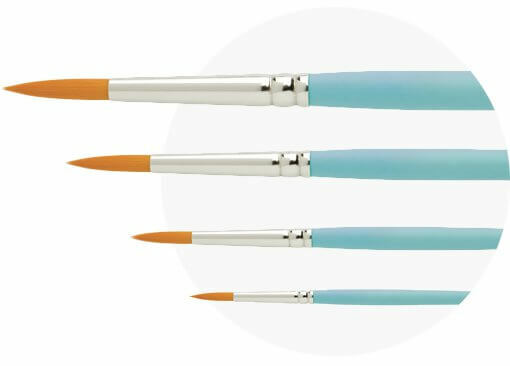 Use of smaller size brushes, below size 4, are usually for detail work, medium sizes, 4 to 6, are for small areas, and large size brushes, above size 6, are for broad spaces. 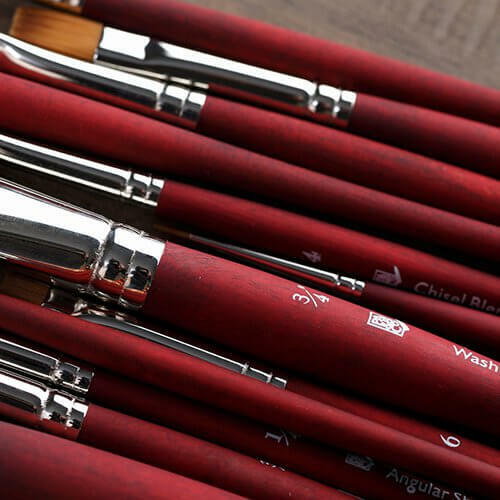 The ferrule connects the brush head to the handle. Most ferrules are nickel plated brass to ensure they resist corrosion and splitting.